How times have changed. When Elvis returned to live performance for his eponymous 1968 ‘Comeback Special’ – albeit a live performance in an elaborate made-for- TV special – he’d not really been out of the spotlight. He’d been a movie star. True, he hadn’t actually performed live for seven years… but these days, that’s not particularly unusual. But back then, there was a serious worry in the King’s camp – given the giddying pace of cultural change that occurred in the mid-60s – that Elvis Presley’s time may actually have been over. 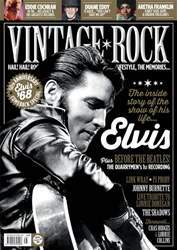 We all know how Elvis answered that, and you can read an unrivalled blow-by-blow account from ‘Comeback Special’ producer/director Steve Binder and others, starting on page 22. It remains a pivotal moment – or rather, year – in the reign of The King. 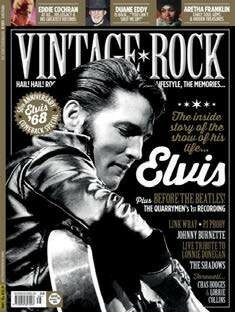 If this had gone wrong, would Elvis still be remembered like he is today? New issue available to download now!